VANCOUVER, B.C. – Yerry Rodriguez’s masterful performance Friday moved the Spokane Indians into first place. Rodriguez pitched seven shutout innings as the Indians opened a three-game series at Nat Bailey Stadium by defeating the Vancouver Candians 4-1, leaving both teams 13-9 in the Northwest League’s North Division. Kevin Mendoza doubled in two runs during a four-run first inning to ignite the Indians. Rodriguez (2-0), a 20-year-old Dominican who just moved up from the Arizona Rookie League, allowed four hits, striking out six and walking one, before giving way to Reggie Meyer. Meyer surrendered a solo homer to Tanner Kirwer in the eighth, but Sean Chandler pitched a scoreless ninth for his third save. Chandler lowered his earned-run average to 1.56. The NWL season is down to 16 games. Spokane is attempting to win the second-half title and meet Everett in the division playoffs. Francisco Ventura started Spokane’s early scoring with an RBI single to left field. Mendoza made it 3-0 with his double to right, then scored on Cristian Inoa’s single to center. Inoa, batting sixth in the lineup, finished 3 for 4 to boost his average to .262. Vancouver leads the season series 4-3. 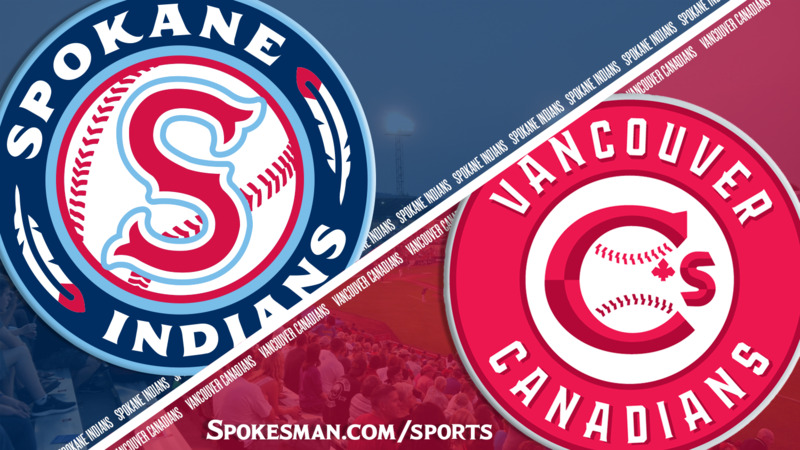 The Canadians and Indians will also meet in a season-ending series in Spokane. The Indians kicked off a six-game road swing. Their next home game will be Thursday against Salem-Keizer. Published: Aug. 17, 2018, 10:31 p.m.